Come and celebrate International Sculpture Day, April 27th, at Rockland Center for the Arts, and enjoy the great outdoors with two exhibits. April 27th will bring people from all over the world celebrating public sculpture. RoCA is proud to participate in this great adventure and has selected members of the Sculpture Guild of NY to create site specific installations for The Catherine Konner Sculpture Park. Large on-site installations address environmental themes with interactive works, integrating sensory elements. Natural Progressions and RoCA Nest 2019 invites visitors to reconnect to nature and to relieve the ‘nature deficit’ so prevalent today and will be part of the yearlong exhibition series on Art and Healing. Rockland Center for the Arts (RoCA) is proud to be partnering with the new Rockland County Pride Center for its Juried Art Exhibit & Sale. Please join us and support the Rockland County Pride Center and the many programs it offers to the LGBT (Lesbian, Gay, Bisexual, Transgender) community in Rockland County. An exhibition presenting the spiritual in art through visual, the senses and performance. Helping us to perceive and heal thoughts, feelings and energies below the surface of our conscious mind. Artists: Colette Fu, Garam Lee, Mark Weiss, Robyn Ellenbogen, and Paula Kovarik. An exhibit that ask the question: Can art be the vehicle through which we find a stillness to heal our soul? Norman Galinsky’s paintings are a practice of focus both on the intention of the work and the attention to his process-oriented designs. The images depict a “stillness in motion”, drawing the viewer into a meditative dialog with the present moment. Symmetry and circular imagery form a “stillness.” On view Feb. 17 - March 24. For those who missed the opening of The Memron Project or would like to view the exhibit the last day before it closes, please join Jennie Chien on Sunday February 3 at 2 PM for an Artist’s Talk. You will be out in plenty of time to attend any Super Bowl Parties! CLICK HERE for more information. This exhibit celebrates the vision of its creative students and members in a Members’ Exhibition, January 13th – Feb. 3rd. Artwork will include pottery, glass beads, drawing, painting and sculpture from over 180 members. 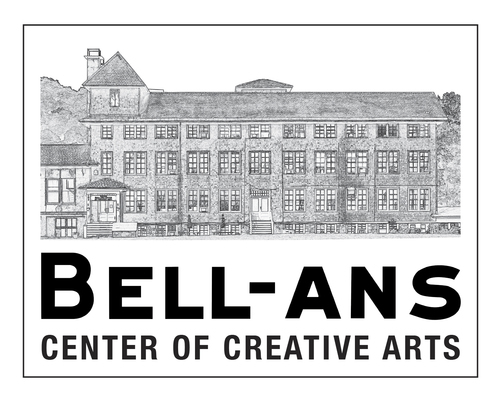 The exceptional members here actively create in the Hudson Valley and the U.S. This is your chance to see these artists of Rockland. Meet the artist Carole P. Kunstadtat at the closing reception for her exhibit “Scripted”, a solo exhibition featuring selections from Kunstadt’s Sacred Poem and Markings Series, a vehicle for the exploration of life’s vulnerabilities, an expression of gratitude and a platform for sanctity, contemplation and playfulness. Exhibit runs through September 30, 2018. Earth & Sky, works by Nyack resident Mark Attebery, features forged metal sculptures that capture a sense of natural, organic flow. Although essentially abstract, the aim is to depict dynamic processes observed in astronomy and the earth sciences. These sculptures are expressions of elemental forces with personal gestures reflecting the beauty and grace in our natural world. Exhibit Opening Sept. 8, 1-4pm. “Contemporary Rockland Artists: RoCA Faculty Exhibit”, will kick off its fall season of exhibits in the Emerson Gallery, celebrating the present vision of the teaching artists at RoCA. We invite you join us for an artists Opening Reception on Saturday, September 8th, 1:00-4:00pm. The Burnt Asphalt Family invites you to How Shall We Dine? an interactive event hosted by the Rockland Center for the Arts. This event will transform RoCA's Emerson Gallery into a hybrid of a dinner party, performance, and installation (with floor to ceiling of glass, neon, and found objects), inviting the audience to participate by enjoying edible installations and food cooked by fire sculptures. An exhibition of works by Aurora Robson. Robson's work explores the monumental effects of plastic waste on distant ecosystems and climate change. An eco-activist in intercepting plastics from the waste stream, Robson uses her art to address urgent issues to inspire others to rethink and reinvent plastic waste in ways that promote creative stewardship of our global waterways. Rockland Center for the Arts is holding its own Affordable Art & Pottery Sale, just in time for unique Holiday gift giving. What better place to experience this! Items include: Functional ceramics, original 2-D & 3-D art from known artists; ceramics; jewelry, glass and more. Priced from $25 - $150. Rockland Center for the Arts, in partnership with Collaborative Concepts, have sited sculptures by 15 regional artists on RoCA's new nature trails, just off the Catherine Konner Sculpture Park. Inspired by the natural habitat of the lower Hudson Valley, the sculptors pay homage to the creative spirit that lives right here in Rockland. Artists address ideas of light, organics, recycling and sustainability through these sculptures. These trails help you reconnect with nature and relieve the ‘nature deficit disorder’ so prevalent today. Perfectly placed sculptures, visible through and around the natural habitat brings a fresh enchantment to these trails. A glimpse of an art piece beckons the visitor to meander slowly through the paths and observe the intricacies of each exceptional work displayed within the landscape. Sarah Haviland’s large metal bird, Spirit of Place, glistens through the trail while Michael Natiello’s,Red Neck Gong, reminds us of the solitude and tranquility in nature. Denis Folz’s Nailed It sculpture brings a sense of humor and JoAnn Brody’s female Totems/Bones gives a tribal feeling to the trails. The sculpture trail connects to the Palisades Park. It is our hope that this tourist destination will have an emotional connection for visitors with nature, the art and inspire all to spend more time outdoors in the Hudson Valley and Rockland. Rockland Center for the Arts (RoCA) is proud to be partnering with the new Rockland County Pride Center for its Juried Art Exhibit & Sale. The event will open with an Artists’ Reception, light refreshments will be served, at Rockland Center for the Arts on Sunday, June 4th, 1 pm – 5 pm. The reception and exhibit is free and open to the public. Please join us and support the Rockland County Pride Center and the many programs it offers to the LGBT (Lesbian, Gay, Bisexual, Transgender) community in Rockland County. June 4 - June 18, Thurs-Sunday 1 pm - 4 pm at Rockland Center for the Arts. Rockland Center for the Arts, in partnership with Collaborative Concepts, have sited sculptures by 12 regional artists on RoCA's new nature trails just off the Catherine Konner Sculpture Park. The Opening Reception on May 21, 2-5 pm will include an artists talk, a tour of the sculptures and a drop-in Wood Sculpture workshop for Families ($10 per person).